Many people are longing for the way of life that they can work anytime, anywhere, and still enjoy life. Yeah, that’s the best life I can imagine. In this case, many people choose to be a freelancer rather than a regular worker. 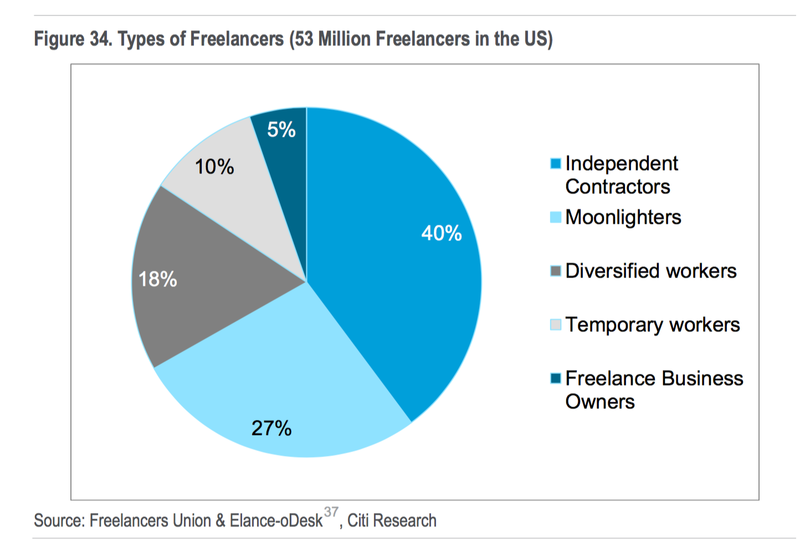 And the population of freelancers is constantly increasing all around the world. This post will give you a deep understanding of being freelancer, what is freelance? What is the difference between freelancer and regular worker? What skills do you need to be a freelancer, ect. All the questions about freelancing will be answered in this post. "First: you must strive. Nothing good is ever easy." 1. What exactly is freelance? 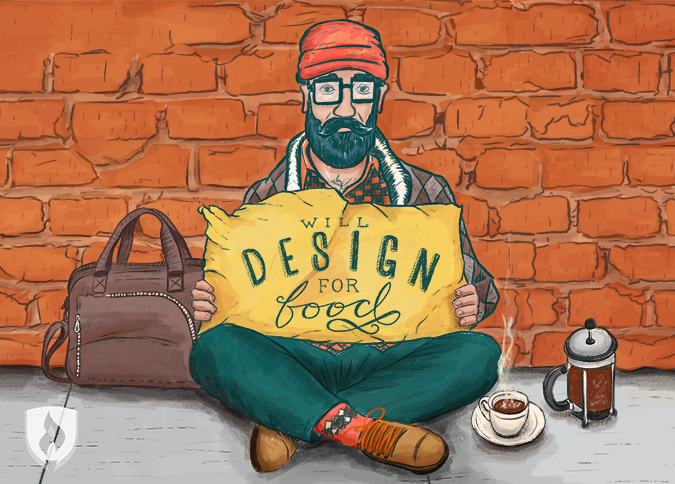 Before discussing any topic of freelance, it is more important to understand it's concept. Freelance is nothing like the policemen, doctors, teachers, civil servants, regular workers, they don’t belong to any companies and organizations. It takes in various forms, and you may be a nanny, therapist, model, tour guide, lawyer, or the vendor man sell the hot dog in the street. As long as you don’t receive regular salary income from any companies or organizations and do not clock in can be regarded as a freelancer. It’s a very popular trend to be a freelancer in Europe and United States, many people not only have one job but have multiple jobs at the same time. The Uber drivers are likely to do more than driving, they may be a web designer, translator, restaurant owner, or map surveyor. They don’t belong to any companies or organizations. They just run their own business. Freelance is not a rich term, but a way of life. You can live your own life and no one will boss you around, but you are on your own. Regular work is a relatively long-term stability of the work. Once you lost it, it’s hard to find the new one. Freelance has a lot of uncertainties. But successful freelancers are always looking for opportunities and they never lack of opportunities. The point is how to enhance the level of freelance, letting people literally understand the "freedom" must need time and strategic arrangements. A violin teacher, who took a fancy to children's enlightenment market, should she work in the piano store? One-on-one tutoring? Or lease a workplace to start her own business? Cooperate with others or go it alone? How can she make the most use of it? 4. What is your choice and positioning? You up your neck in work, but the income is only enough for daily expenses. If someone can not stand with it, they will go back to work soon. And your work price goes with the market price or the intermediary agent price, there is no free time. The second choice is to establish a small business which can run regularly. Although the business is unstable, but the annual income is decent and time is relatively free. Once the offer goes up, you still have not much rights to bid. There has a relatively stable income, and you can manage your time and has stable customer groups. What's more, you will have diversified sources of income and have rights to bid. Whether you want to open a personal music studio, or go to the international free professional platform to bid (how to bid? What is your competitive skills). You need to have sophisticated technical skills to back up. Freelance is nothing more than another way of work. The skills are the most important point of becoming a freelancer. Freelance writers, singers, actors, musicians, designers and genius programmers may be considered as nature freelancers. And if they want, they can always do freelance. There are many opportunities out there, the key lies in your abilities to seize market opportunity and if your skills can match with them. (1) Market research: get to know about the competitors and the market situation, understand the target customers. (2) Product design: to set up a service workflow, guide your customers and learn to bid. (3) Promotion: learn to how to sell yourself and establish a positive image of yourself. (4) Communication and negotiation: to learn how to smoothly communicate with your customers and achieve reasonable business conditions. You are your own agent. (5) Efficient work: to work efficiently in a variety of environments and you will earn extra time. (6) Time management: to reasonably arrange your personal time and achieve a balance of work and life. (7) Learning ability: keep learning. Always keep curiosity. (8) Financial Management: Learn to manage your own money and how to use your money properly. (9) Collaboration: Freelancers can not be afraid of cooperating with others, only cooperation can get you more abilities to complete more tasks. If you decided to be a freelancer, try go to a hign level of freelance and strengthen your skills. So as to achieve a better life. 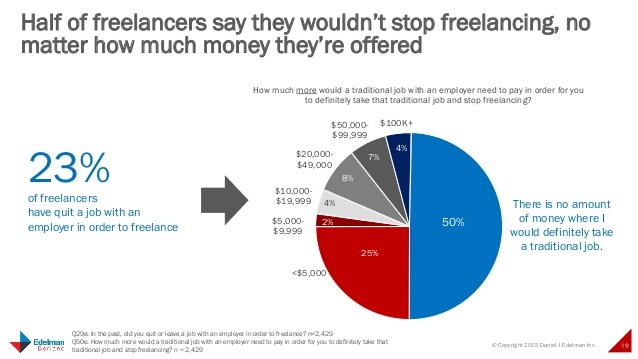 Freelancers are usually getting more pressure than a regular worker. A platform like Upwork and Freelance have a large number of low-end market segments. Clients need low-cost service, and the quality of service requirements is not high. 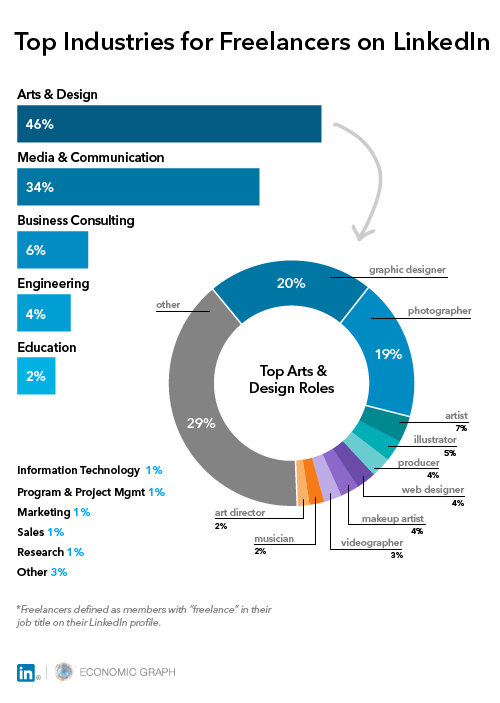 Many freelancers are applying for this kind of job, but a few of them can get the job. I do not recommend freelancers and even a newbies to get involved in this market. 8. 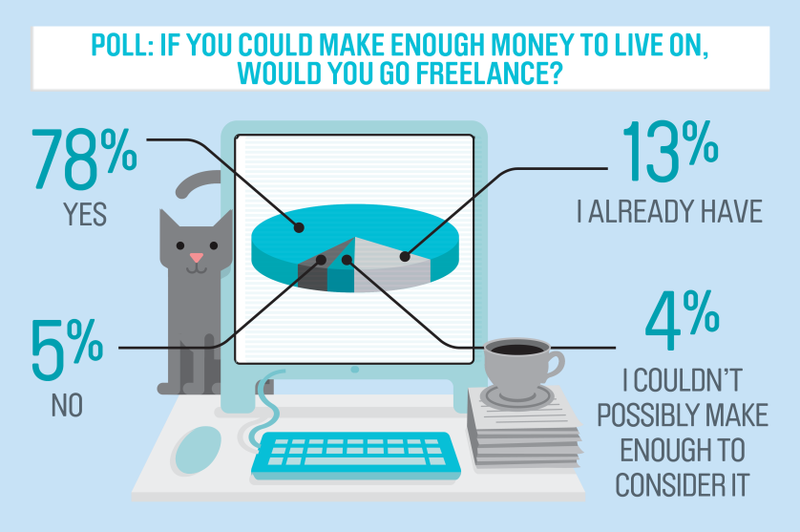 Are you suitable for becoming a freelancer? Do you mind other people's judgements? Do you have enough money? Are the money available for a while to be self-sufficient? Give yourself a deadline, how about a year? In fact, things are not as difficult as your may imagine. Of course, it won't be easy, you will know when you did it. Are you a qualified freelancer? Do you prepare to be a freelancer? Can you feed yourself? Can you feed your family?